Blenheim Gardens is a typical late Victorian London home. 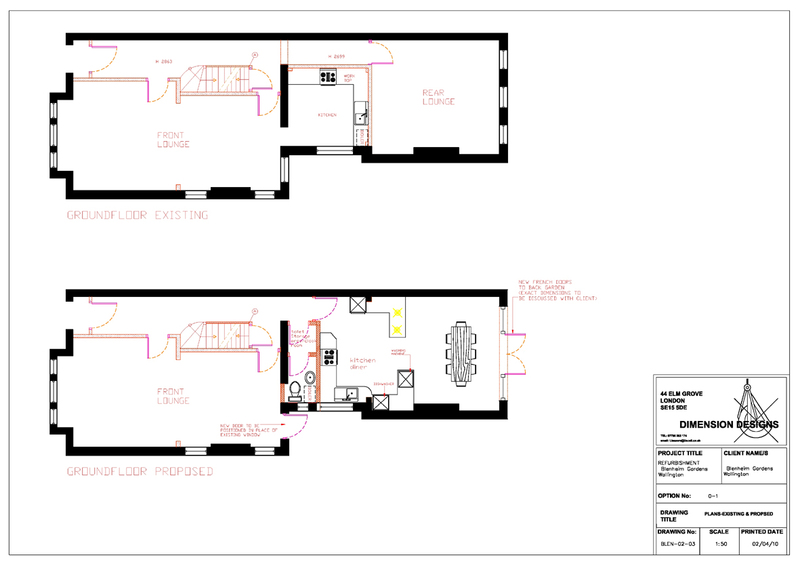 The client felt the ground floor had a disjointed feeling, with the kitchen “block” separating the large front lounge from the smaller rear lounge. 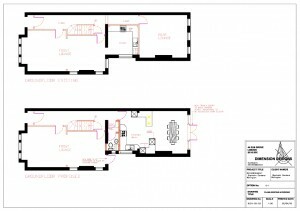 With time, the rear room became less a living space and more a storage area. This was a shame as, although slightly dark, gave onto a beautiful garden. 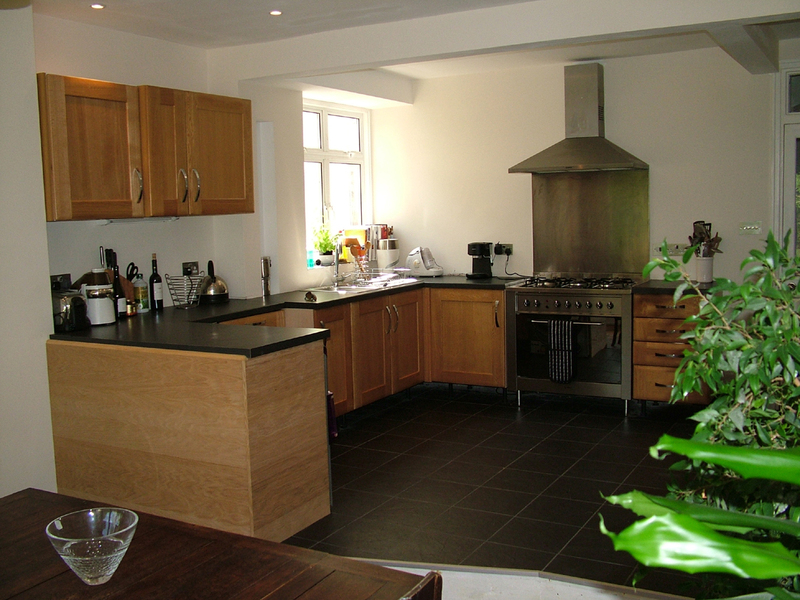 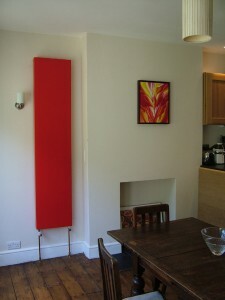 The aim was to rearrange the ground floor to incorporate a new kitchen and dining area and install a wc. 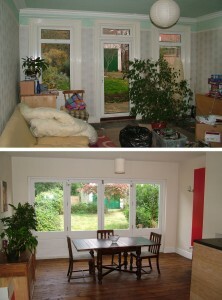 We also removed most of the rear ground floor wall and fitted folding French doors.